A picture is worth a thousand words, especially with Pinterest. This is where having a great cover makes a tremendous difference. An intriguing cover will draw the interest of Pinterest viewers As with all social media, though, it is social media. It’s not just about promoting your books, but about getting to know you, the author, so you need to post more than just your covers. Post about you. What inspires you as a person or what inspired your book. Upload pictures of your pets. Post anything that intrigues you. If you write historical romance or steampunk, post pictures of clothing or carriages. If you write fantasy, then include images that will bring viewers into your story. So, how do you use Pinterest? First, you have to join Pinterest and create a profile. Remember that your listing is to promote your books, so use your pen name or call it Author John Smith, or Jane Smith’s Books. 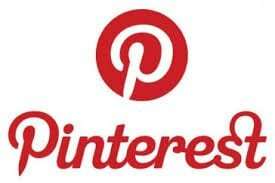 Pinterest provides a location for adding your webpage or Facebook page listing. It will also ask if you want to add the “Pin it” Pinterest button. Add that button. It will make it much easier to add images. Pinterest supplies a few standard ‘boards’ where you can add listings like Favorite Places and Spaces or Places I’d like to go, but there is also a box at the left with a plus sign in it where you can add/create your own boards. Add one for your cover art, for instance. To add your images go to the board you created – Cover Art – or – Images for Books – or Recipes – or Pets. Now the box with the plus sign will say Add a Pin. To add an image from your computer click the plus sign. It will ask you whether the image is found on the Web, Your Computer, or Pinterest. If you’re reasonably computer literate, choose the appropriate location and find your image. Otherwise, use the Pinterest Pin It button. Do you want your cover art linked directly to the site where your book is sold? You can. Using Amazon as an example, go to your book page and click the Pinterest button. It will bring up a number of images, including one for your book. Click on it, and it will say “Pin It”. Click on that and it will give you a drop down menu listing all your Boards. Choose your Cover Art board (or whatever you called it). It will also give you a box with a link where you can add a brief description of your book. To return to your page and your other boards, simply click on the name you called your page. Remembering that Pinterest, like Facebook and Twitter, is a social networking site, connect to other pages. On the upper left is a search box. Search for Indie, Self-published, your genre(s), and add them. Pinterest, like all other social networking sites, can be a bit of a time sink. It’s worth it at first to learn how others use Pinterest, and to add pins from other sites to your boards. If you hover your mouse over the image it will allow you to choose Pin It, Send (to Google+, G-Mail or Yahoo) or Like (a heart). If you Like it, it will show up on your Facebook page. If this all seems overwhelming, schedule one day a month for updating Pinterest, it’s not a site that requires constant maintenance. Everything you add, though, helps readers connect with you.